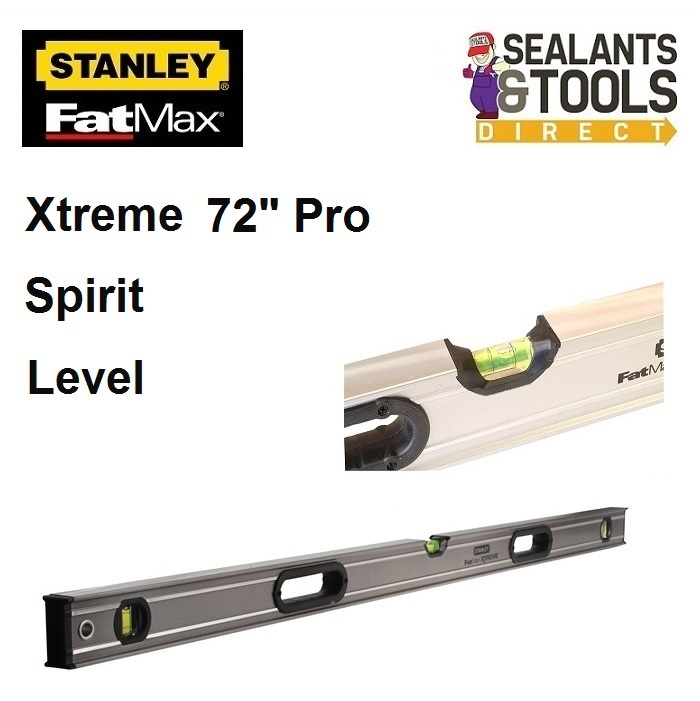 The Stanley FatMax 72" Xtreme Box Spirit level has solid-block acrylic vials to provide an accuracy of 0.5mm/m in eight orientations. In addition every FatMax Xtreme level comes with a lifetime accuracy warranty. thanks to its unique reinforced box-beam construction. Precision engineered dual-machined levelling surfaces ensure maximum accuracy. Shock absorbing end caps protect the level even if it is dropped.